Many users who have upgraded their OS are complaining of their deleted files and user profiles. Microsoft recently started rolling out its October 2018 update for Windows 10. While the new update brings a slew of new features, some users have complained that their documents, pictures, videos and even user profiles were deleted after the upgrade. A thread on the issue was spotted on Reddit and later cropped up on the company’s own support website and some other forums. While there is a temporary fix for when a user’s profile is deleted, Microsoft itself is yet to acknowledge the problem, what’s causing it and when it will be addressed. 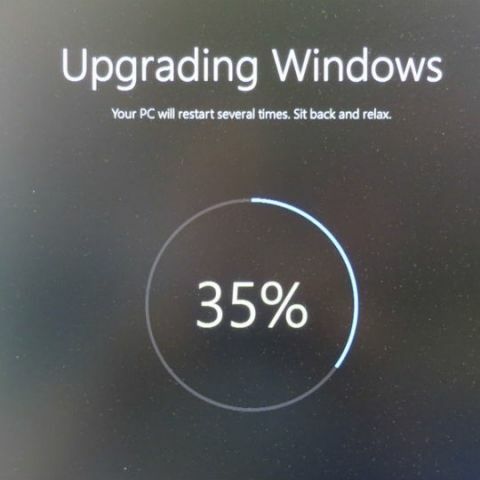 Microsoft is not yet seeding the update on a large scale and thus users that actually head over to Windows update and check for it manually get to install the new update. Those who still want to go for it are advised to take a backup of all their data before doing so. Those users who have already updated and their data was deleted can try using third-party data recovery tools. Additionally, as mentioned above, one can try the temporary fix for getting their deleted profile back. To do this, one needs to find a collection of settings called Group Policy Object (GPO) by searching for gpedit.msc or edit group policy in the Start menu search bar and selecting the best match. Then head over to “Computer Configuration/Administrative Templates/System/User Profiles/Delete user profiles older than a specified number of days on system restart” This setting needs to either be disabled or set to “Not Configured.” This should resolve the deleted profile issue, as per NordicDodge on Reddit. Windows 10 October Update: How to download and what's new? The Windows 10 October 2018 update brings new apps like “Your Phone” that enables users to access to their Android phone’s photos and texts on their computers. There are some new additions to Microsoft Office 365, To-Do and Outlook.com. You can read more in-depth about the update here.